Frontline Distribution was founded in 2009 by Jeremy Curran. The company's primary focus is on creating unique, flexible, and highly scalable supply chain distribution solutions for the action sports equipment, and green techhnology equipment markets and their related products. Currently Frontline Distribution, and its clients have access to one of the industries leading freight automation system that can quote, compare, book, and track LTL Freight, Truckload freight, Air Freight, and soon Ocean and International Container Freight. Additionally Frontline and it's clients have access to a real-time online WMS system that currently connects 20+ plus warehouse and distribution locations throughout the USA, Canada, and now Hawaii allowing them to cross pack and distribute merchandise regionally via, UPS, Fedex, or Freight. 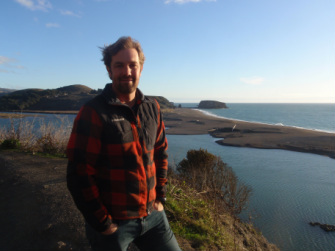 While not tolling to build his fun little empire, Jeremy enjoys surfing, mountain biking, skiing, painting, dancing, urban gardening, revitalizing older mixed use parts of town, and searching for that next great travel adventure! Thank you for considering Frontline Distribution's services. We sincerely appreciate the opportunity to work with our growing list of amazing, industry changing, and fun companies. Crafting them unique, efficient, cost effective, and competitive advantage creating regional distribution solutions. Please let us know if we can be of service now or in the future, we would be excited to work with you!